Join us for Thanksgiving Dinner on Thursday November 23rd! We will be opening at 2:30pm and will be serving dinner until 6:30pm. We are filling up quickly so call us now to make a reservation! If you don’t want to cook have us cater your Thanksgiving dinner! Call us at 802-579-1183 for catering! Mushroom-Saffron Risotto, Two Mustard Cream Sauce & Seasonal Vegetables. Thank you for spending your holiday with us! We will be closed Sunday November 5th and Wednesday November 8th for a mini vacation for our staff! Re-opening with normal hours on November 9th. Getting ready for the holidays fast approaching! Join us for Thanksgiving dinner from 2:30pm to 6:30 pm on Thursday November 23rd! We are also offering Thanksgiving to go, your whole Thanksgiving dinner catered for you! Call now for your reservation! Cheers! In honor of an amazing man, Stanley Lynde, we will be open for lunch and dinner on our patio tomorrow, Friday October 13th serving burgers and veggie burgers. Half of our profits will be donated to Stanley’s family. Stanley was a man who had a big influence on many lives here in Brattleboro. Our community will miss him deeply. Ride on Stanley! Planning a wedding for next season? 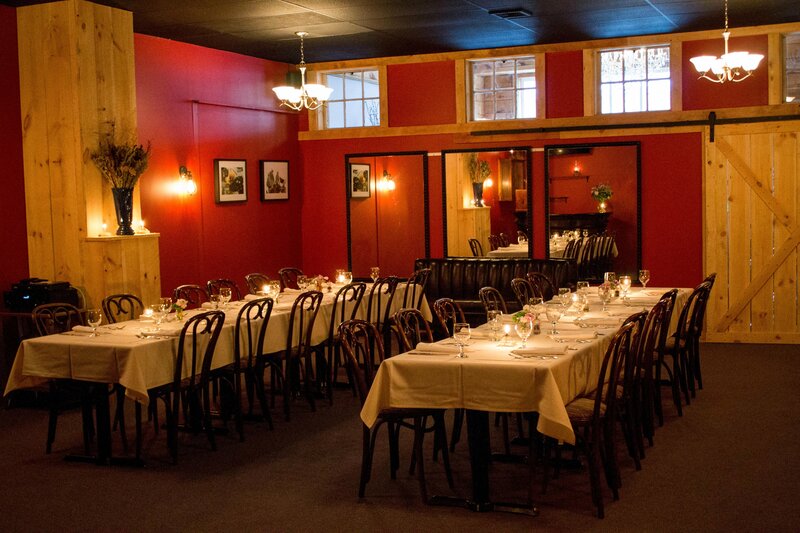 Looking for an event space for an upcoming birthday party, wedding shower or rehearsal dinner? Come to the first annual Peter Havens Wedding Expo! We will be serving food and drink and will be featuring all kinds of local vendors including photographers, flower arrangements, centerpieces and decor, rentals and much more! Enjoy free appetizers and sample wine, take a tour of our private dining room and have a chance for a free consultation with our Wedding Planner! The event is free but we do require pre-registration for all guests. 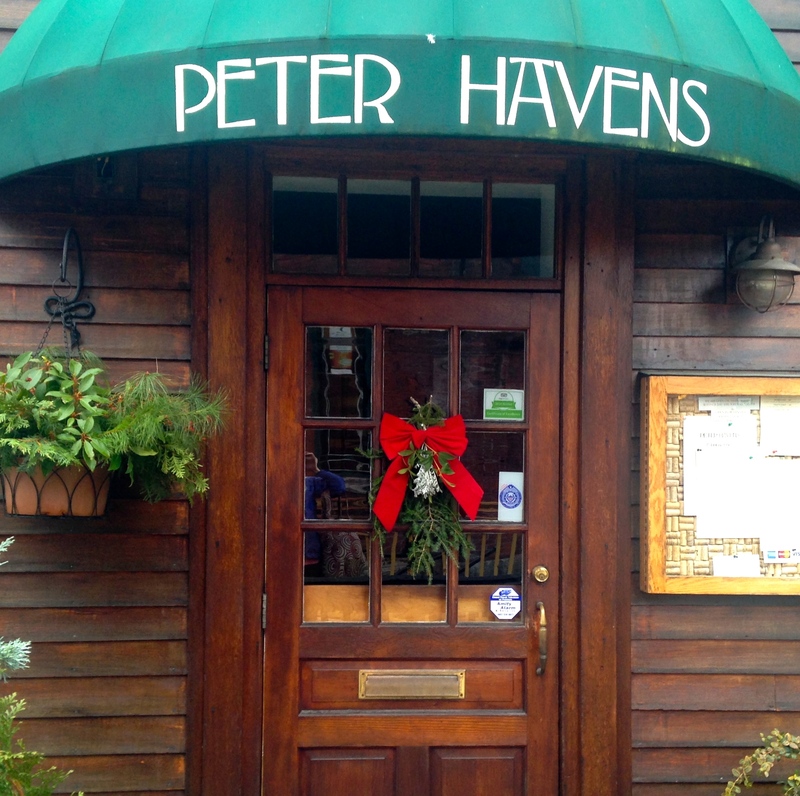 Email Kate Barry at peterhavens1@gmail.com to request a registration form today! Summer is Over, but the Patio is still Open! 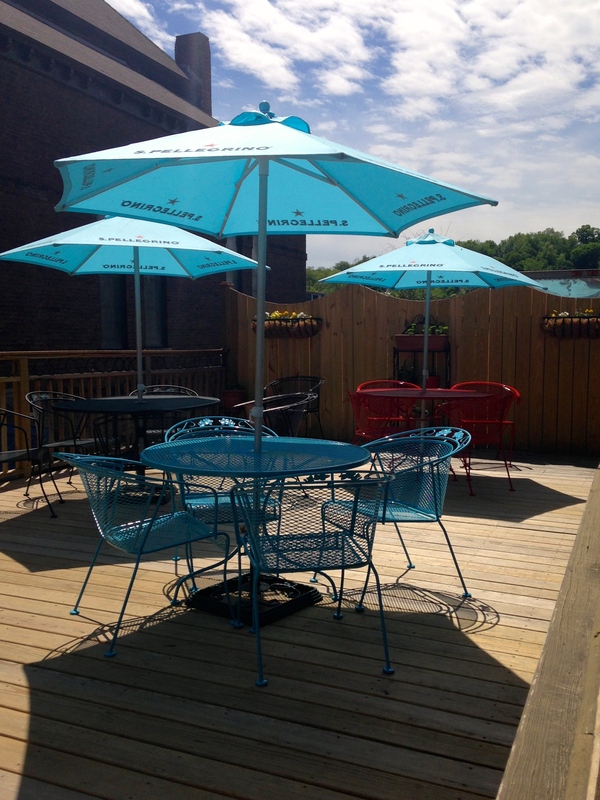 School is starting, the leaves are turning, but our beautiful patio will remain open until Columbus Day! Serving Lunch from 11am-3pm and Dinner from 5:30-9pm. 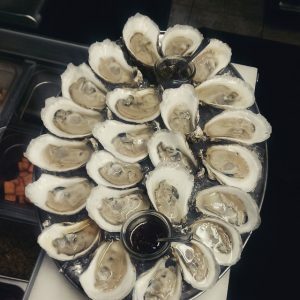 We have fresh oysters, local grass-fed beef burgers, wings, salads and a little bar with creative cocktails, beer on draft and fresh sangria. 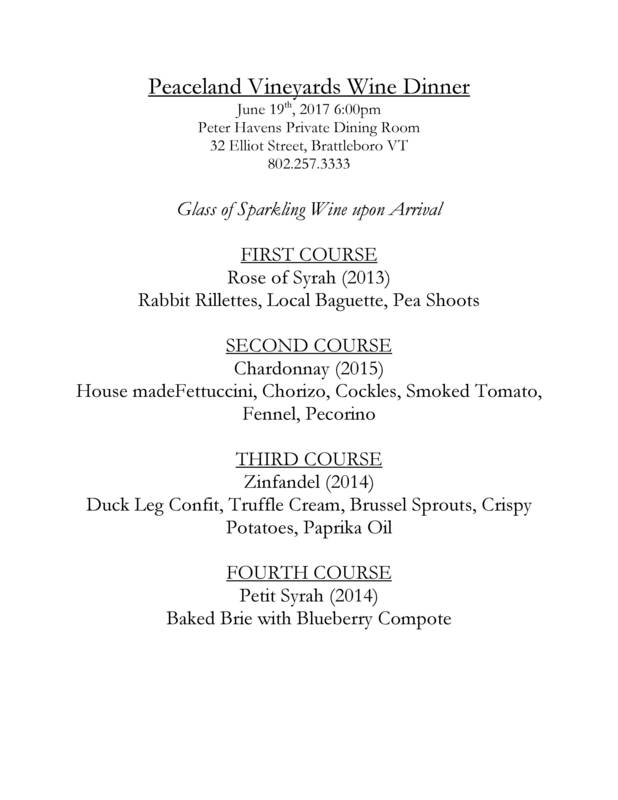 Space is Limited – Call and make your reservation today. Open at 5pm on Saturdays! Starting this Saturday July 15th we will be opening our dining room at 5pm on Saturdays to accommodate people heading to the Marlboro Music Festival concerts. This will continue every Saturday through the month of July and will end August 12th! Happy Fourth of July! In celebration we will be closed on Wednesday July 5th! Re-opening on Thursday July 6th with normal lunch and dinner hours! Be Safe and happy Independence Day! Tour Sonoma County with Peaceland Vineyards while enjoying a special tasting menu prepared by chef Zachary Corbin. Taste five wines paired with their own unique dishes. Meet, drink and talk with the winemakers. Seated family style, so come ready to mingle and enjoy great wine with great company! Located in our Private Dining Room where space is limited so call and make your reservation today.